Puente Romano Marbella is a large resort with Andalusian style architecture that recreates the character and charm of an Andalusian beachfront village; is sits amidst sub-tropical botanical gardens alongside the 1st century Roman Bridge. 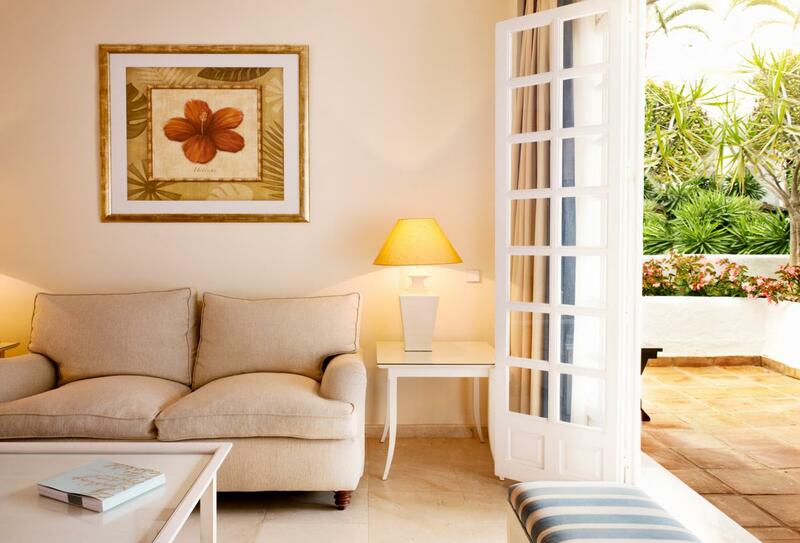 There is a wide choice of activities including beach and water sports, swimming pools, tennis courts, Six Senses Spa, exercise classes and a nearby golf course. There are also many restaurants, bars and cafes, including 100% gluten-free food, the famous Nobu restaurant, a seafood buffet bar, tapas and Thai food. Families are also well catered for with a special kids’ pool, play area and club which includes many indoor and outdoor activities. 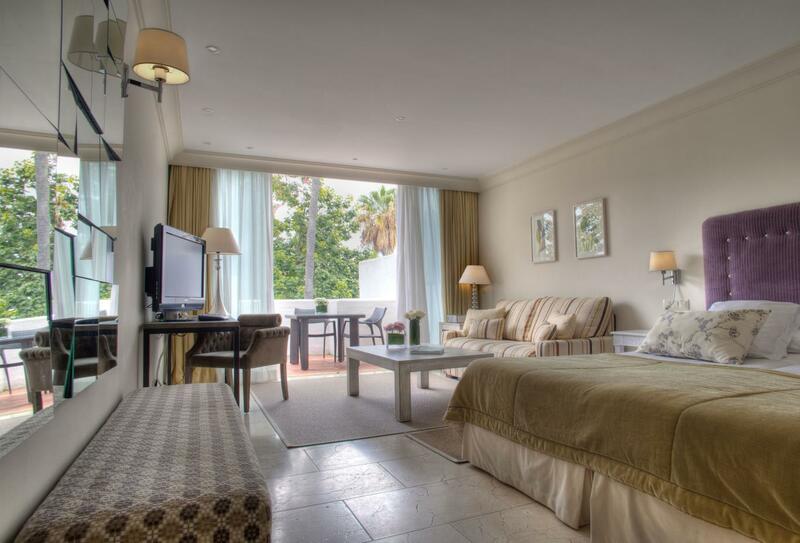 The Junior Suite features either a king-size or twin beds, a seating area and private terrace with views over the garden. 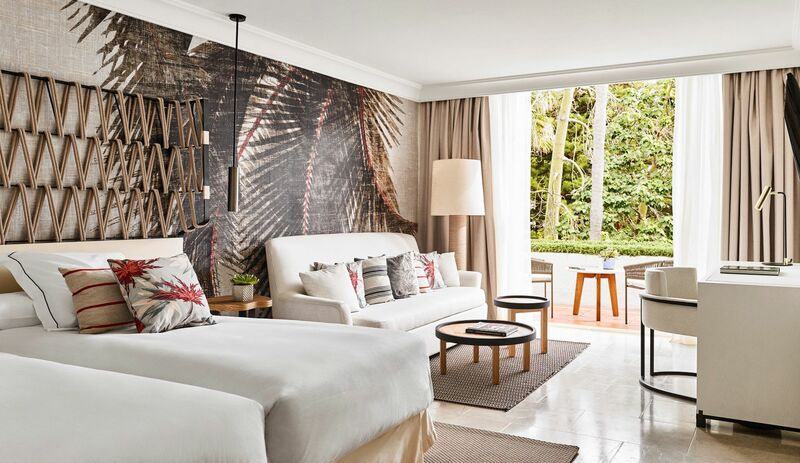 The Deluxe Junior Suite garden view features a king-size or twin beds, a seating area and private terrace with garden view. The Garden Suite features a king-size or twin beds, a bathroom with a whirlpool tub and a private terrace with garden view. 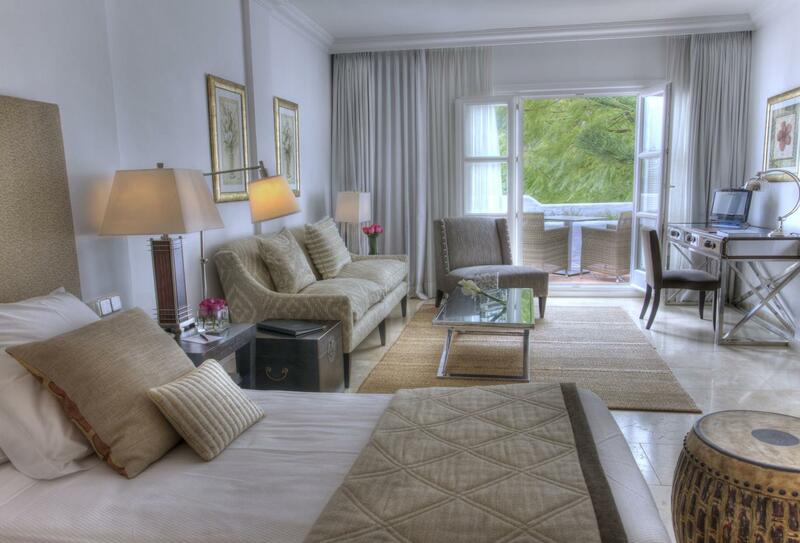 The Deluxe Garden Suite features a king-size or twin beds and has a private terrace with garden view. 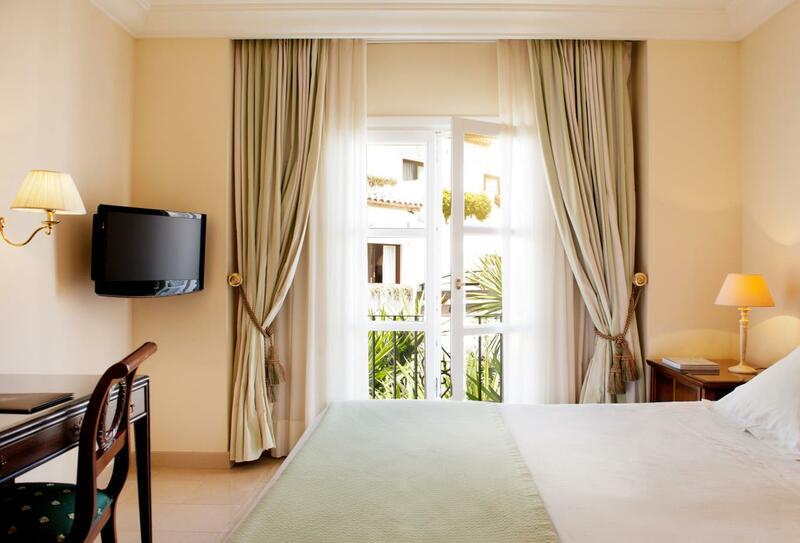 The Grand Junior Suite features a king-size or twin beds, a private terrace with partial sea views. Situated in the hillside town of Benahavis is the Marbella Golf Club Resort, one of the top-rated 18-hole courses in the Costa del Sol with striking views of Gibraltar and the African coastline in the distance with the Mediterranean mountains in the foreground. Guests of the hotel will be granted complimentary green fees at this privately owned course, once per day throughout their stay as well as a complimentary shuttle service to and from the course, upon availability. This offer is currently available until 30th April 2015. 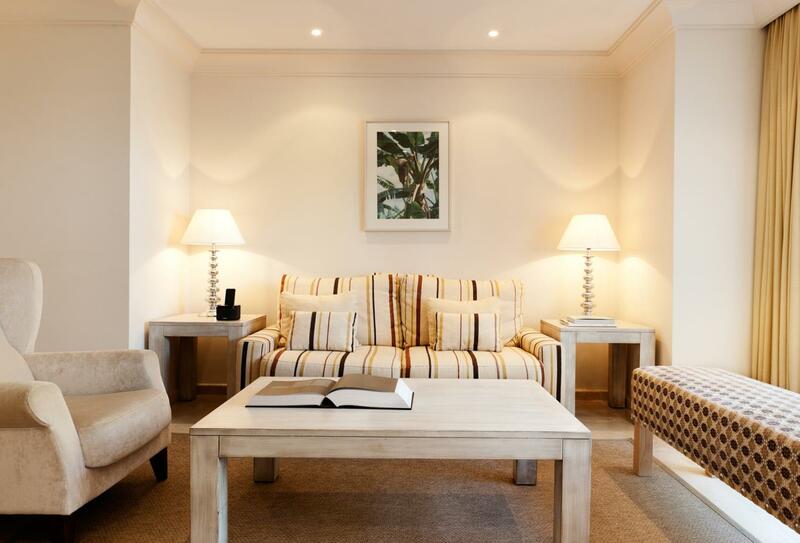 • Not applicable to groups of 10 rooms or more - Green fees for groups are available at 70€ per person. 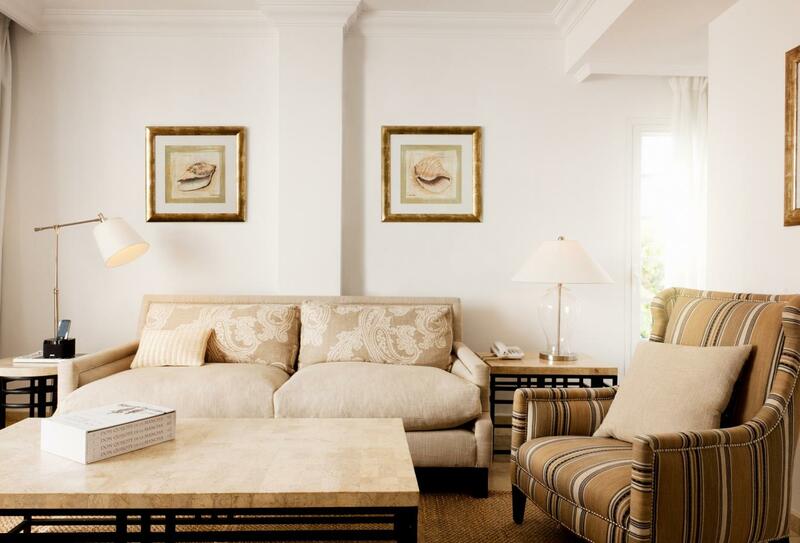 A group is defined as a booking of 10 rooms or more per night for at least one night. There is direct access to a 7km beach where independent companies provide jet skis, sailing, banana boat rides, water bicycles, paddle surfing and more from mid-April to October from 11:00 to 18:00. New York city loft nightclub. Open at the weekend from dusk until dawn. Open day into the evening and serving drinks and snacks, live music and a variety of events. Serving fresh fish and seafood with live music on at the weekend and Thursday and Friday at lunch time. Serving Thai classics for dinner every day. Serves traditional Italian dishes for dinner. Open Thursday to Sunday. Serving A la carte Andalusian delicacies for dinner. Serving artisan beer and a gluten-free menu. Open from morning until evening. Serving Japanese cuisine with Peruvian flavours every evening for dinner. Bibo serves tapas with a twist. Open each day for lunch and dinner. Bistro serving healthy options including smoothies, protein shakes and peach stuffed crepes. Open all day. Seafood, sangria and cocktails. Open each afternoon until the end of September. Puente Romano Marbella is on the southern coast of Spain in the Costa del Sol, situated on the Golden Mile, a residential area between Marbella and Puerto Banus, with direct access to a 7km long beach. 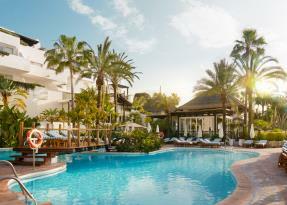 Málaga International Airport is a 35-minute drive away. 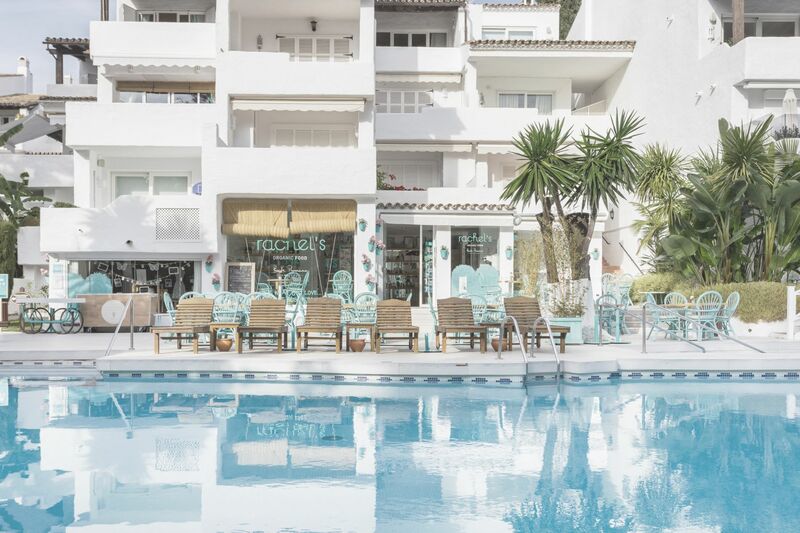 Puente Romano Marbella is ideal for families with children and offers a range of child-friendly activities and features such as a kids club during high seasons. Children’s welcome basket containing chocolate, fruit, soft drink, etc.